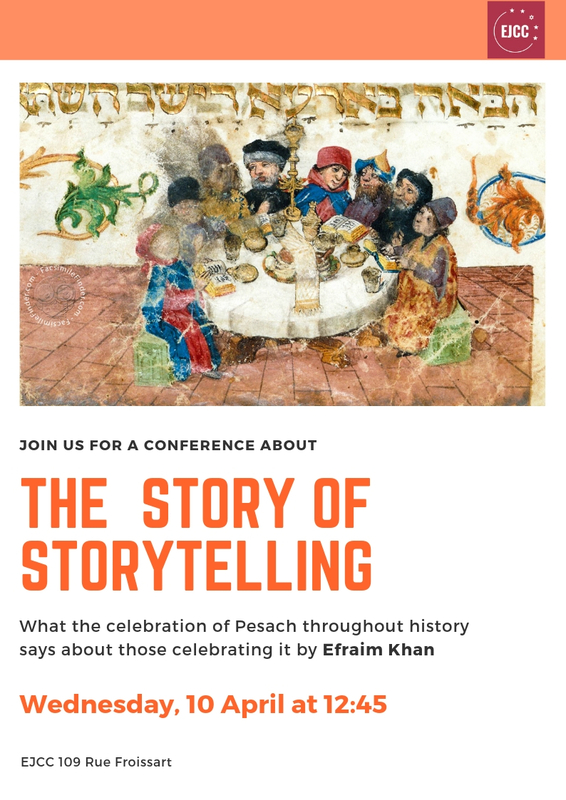 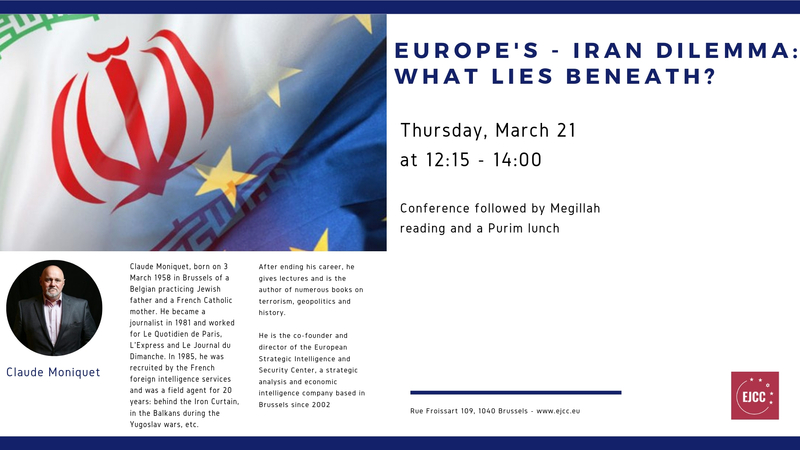 Join us for a lunch and a fascinating conference with Isaac Franco. 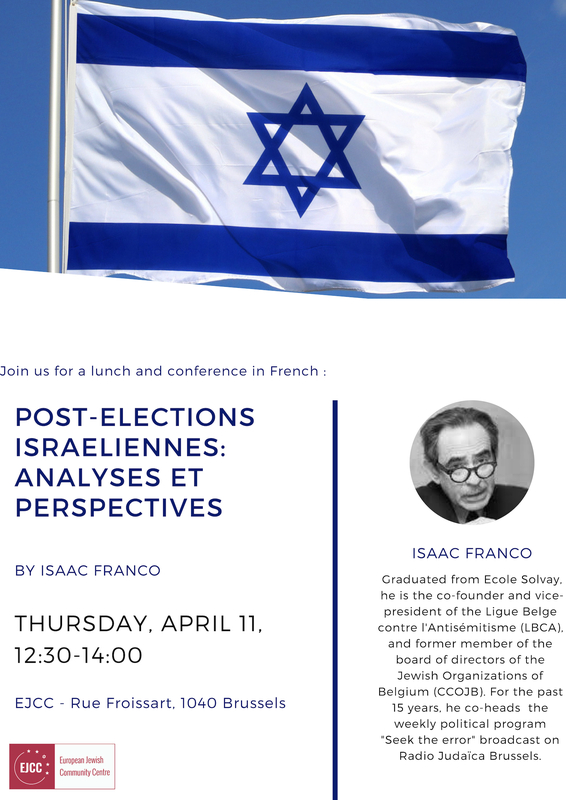 We will analyse post-Israeli elections, possible coalitions and their consequences in domestic Israeli politics and international policy. 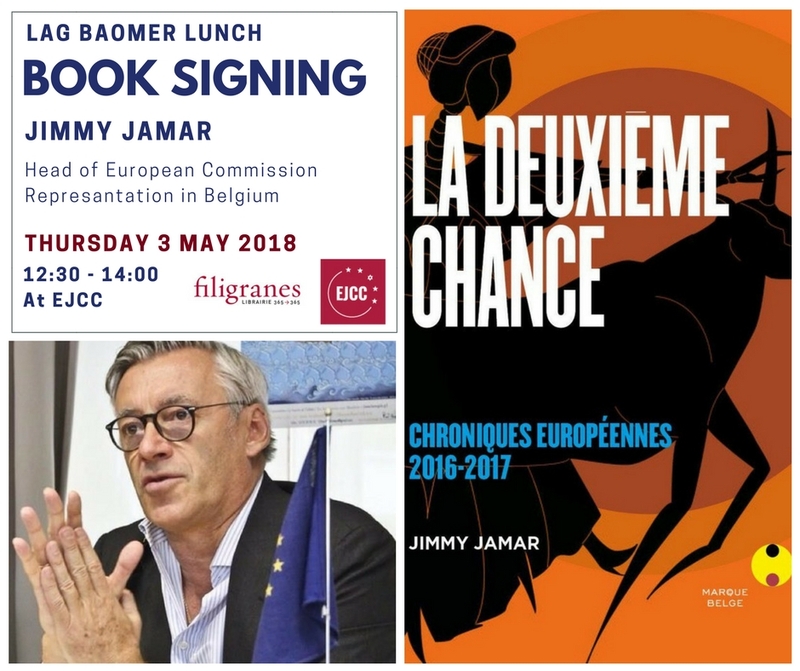 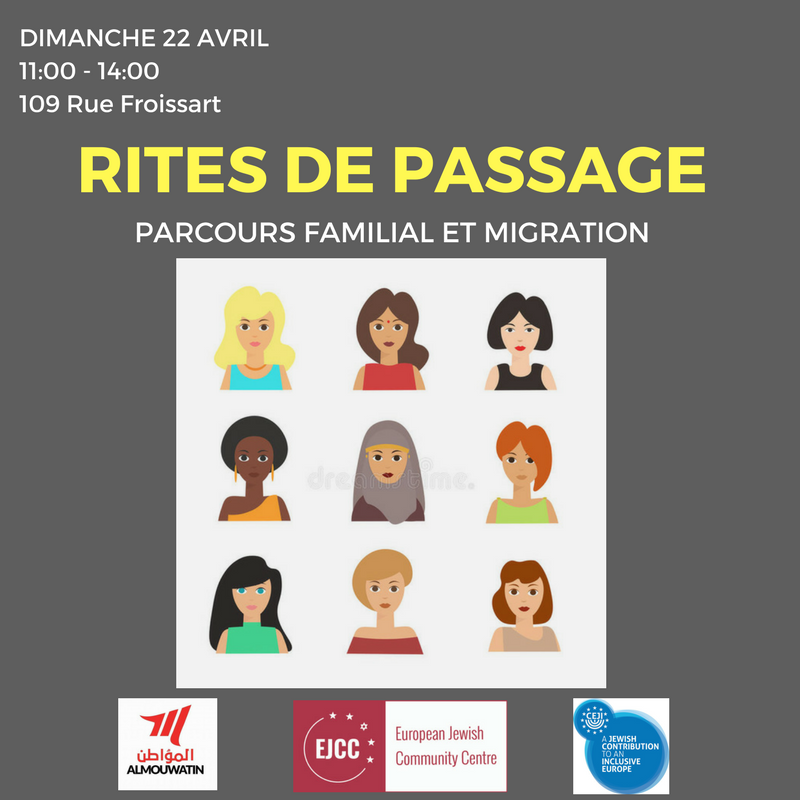 The talk will be in French. 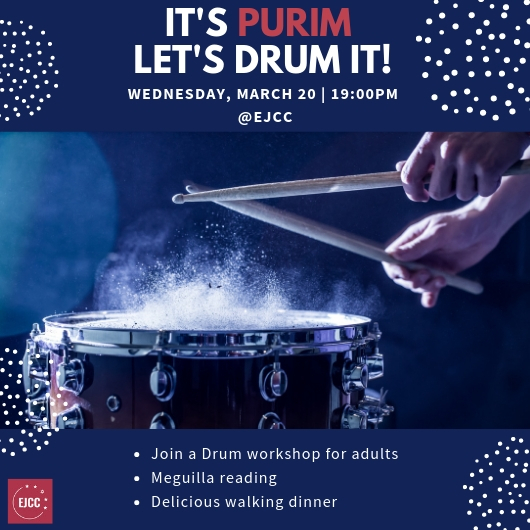 Purim – Let’s DRUM IT! 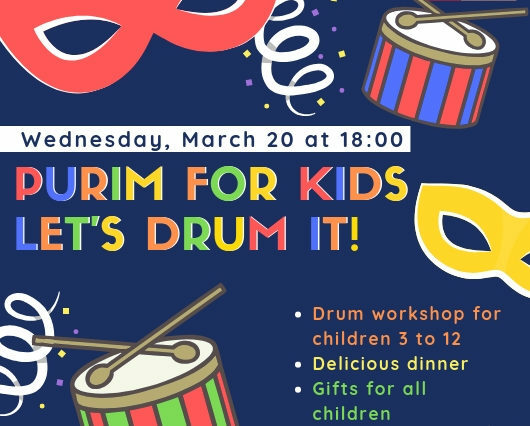 Purim for kids – Let’s drum it! 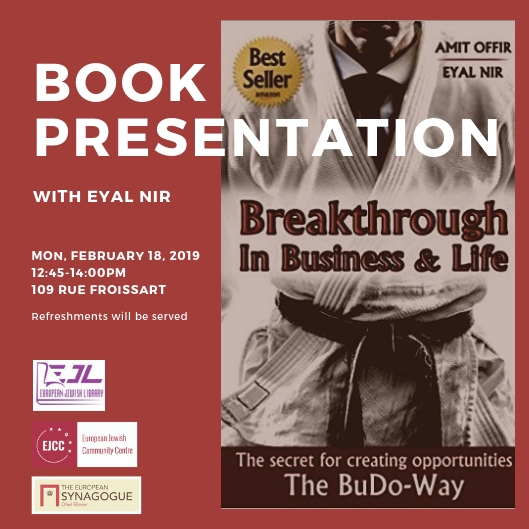 18.02.2019 at 12:45 Join us for a book presentation of the book: “Breakthrough In Business and Life: The Secrets for Creating Opportunities – The BuDo-Way” with Eyal Nir. 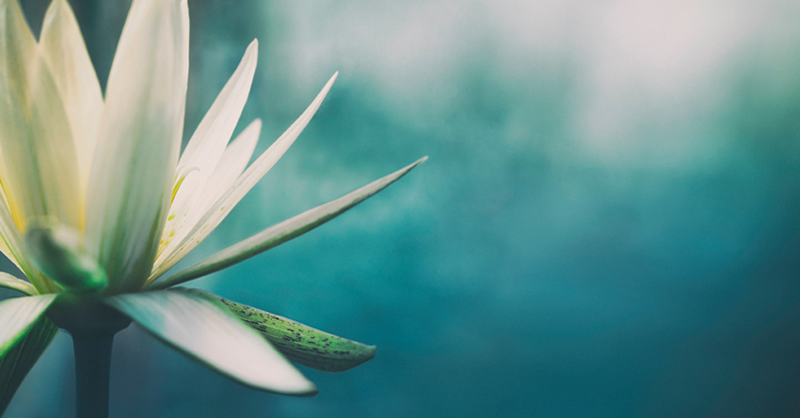 The book links BuDo (Japanese martial arts) centuries-long accumulated wisdom with contemporary experience-based deep understanding of today’s reality and market, to explain how to take control over your life. 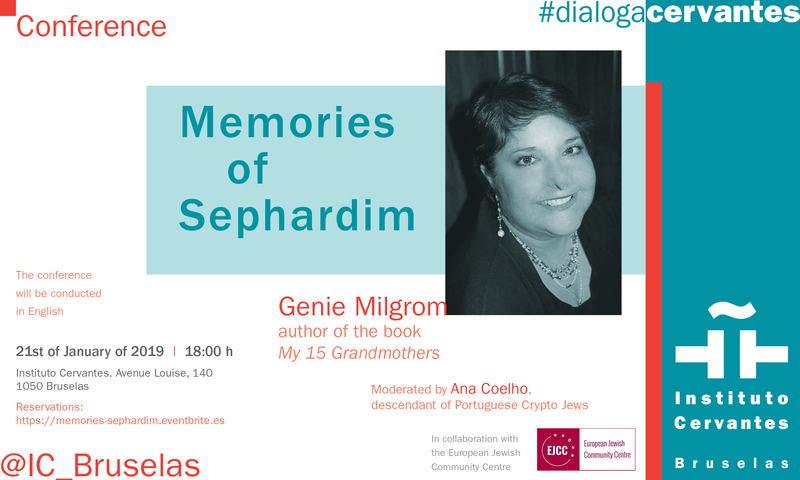 Genie Milgrom will be at the Cervantes Institutes to give a presentation and talk about her book: My 15 Grandmothers, which talks about her incredible journey of research of her hidden heritage as a child of the Inquisition. 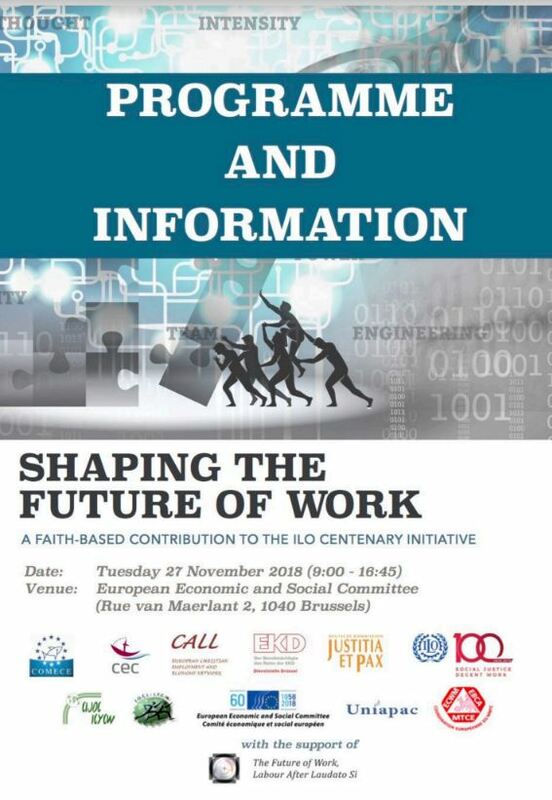 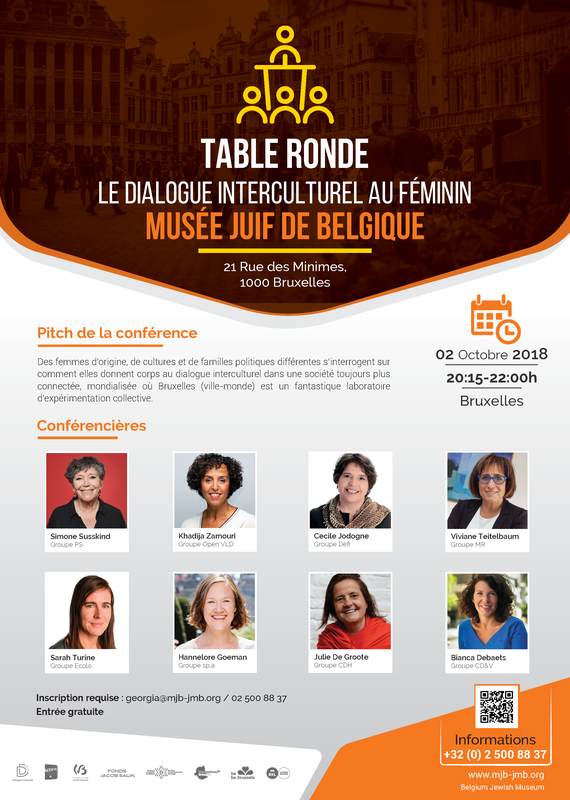 Ana Coelho, descendant of Portuguese Crypto Jews will introduce and moderate the talk. 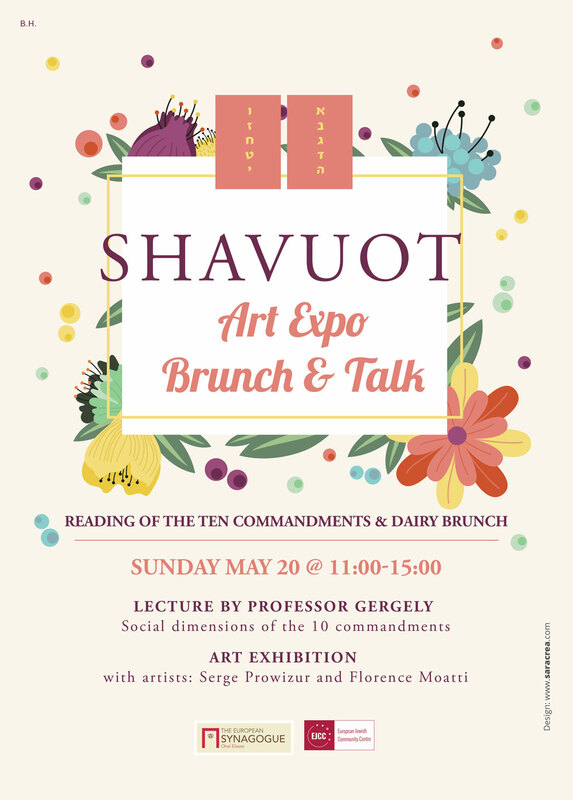 Refreshments will be served. 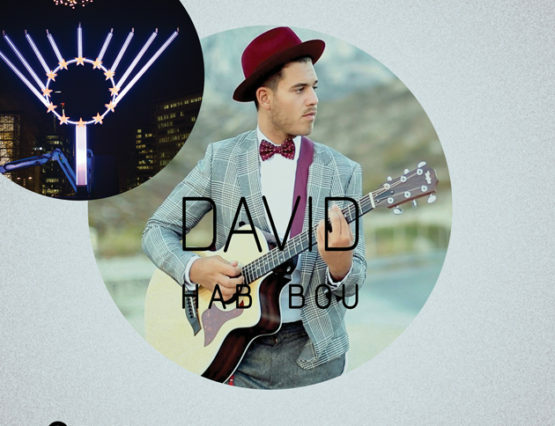 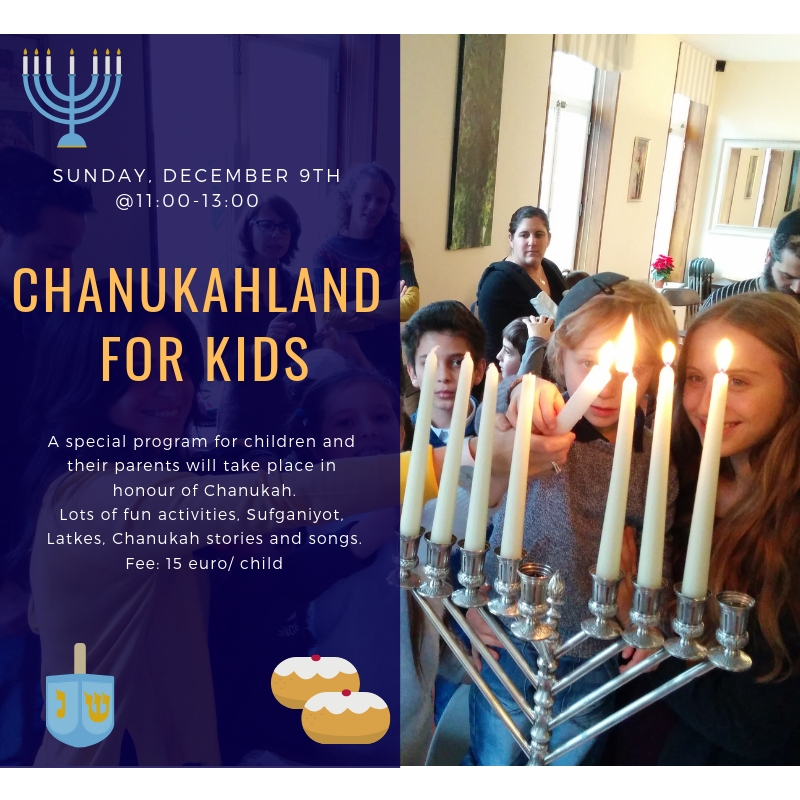 A special program for children and their parents will take place in honour of Chanukah. 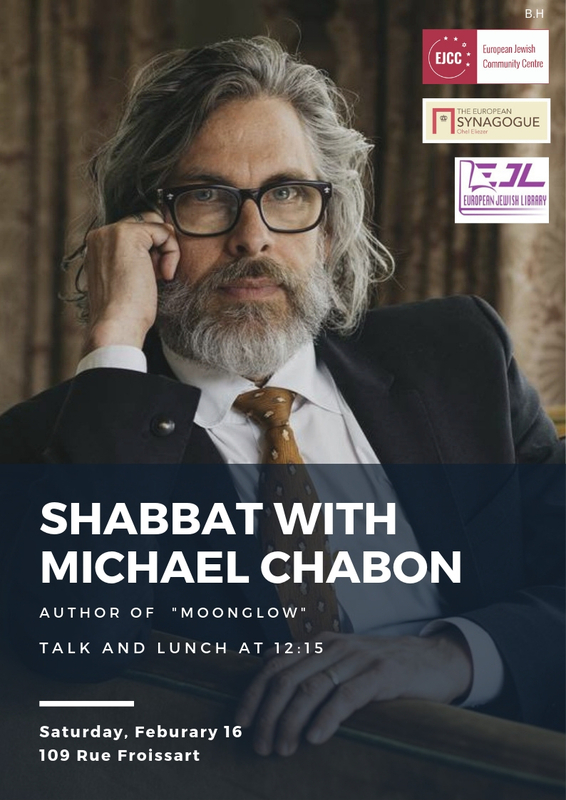 Lots of fun activities, Sufganiyot, Latkes, Chanukah stories and songs. 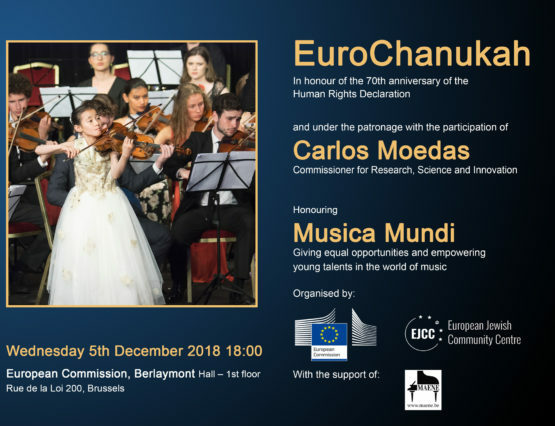 Fee: 15 euro/ child Address given upon request. 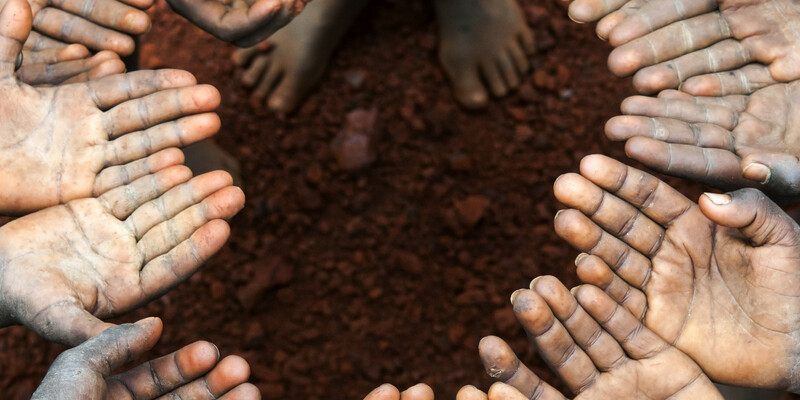 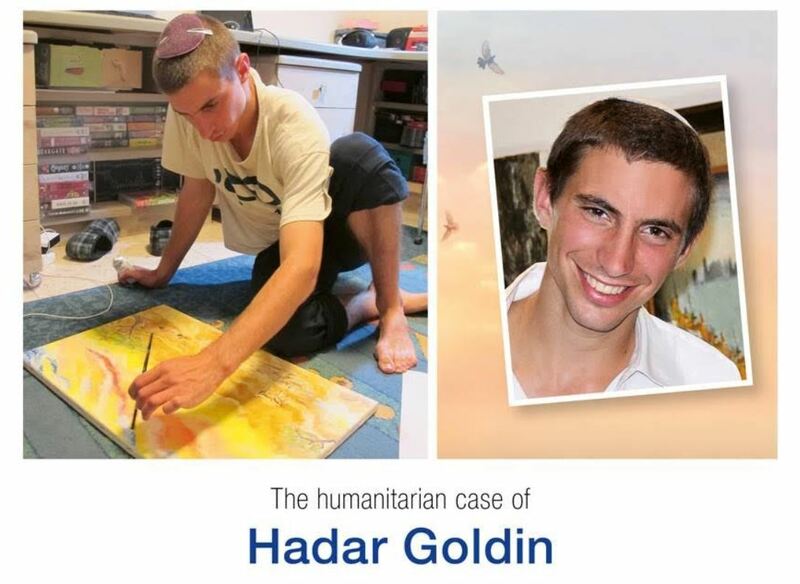 Sukkot talk: Is Humanitarian Aid preventing or feeding misery? 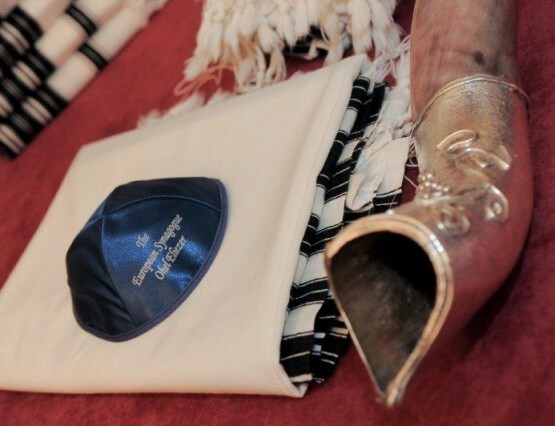 Yom Kippur 2018 will fall this year from the eve of September 18 and 19. 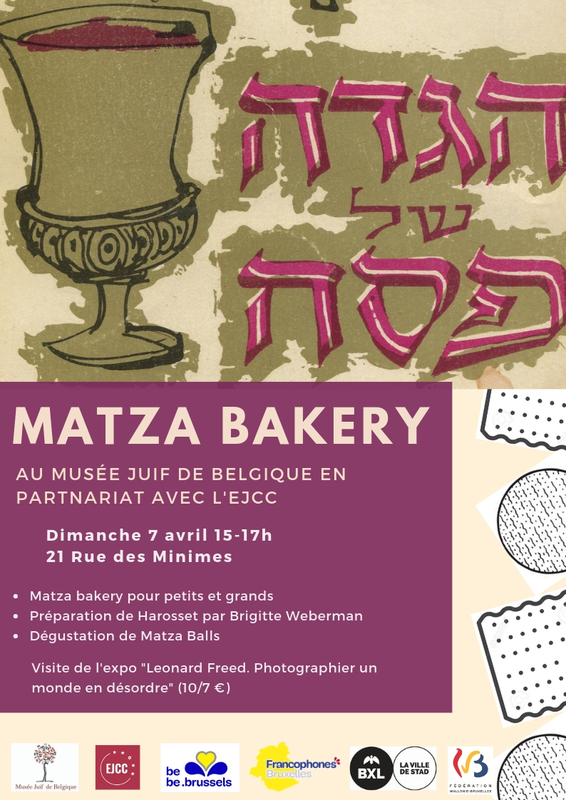 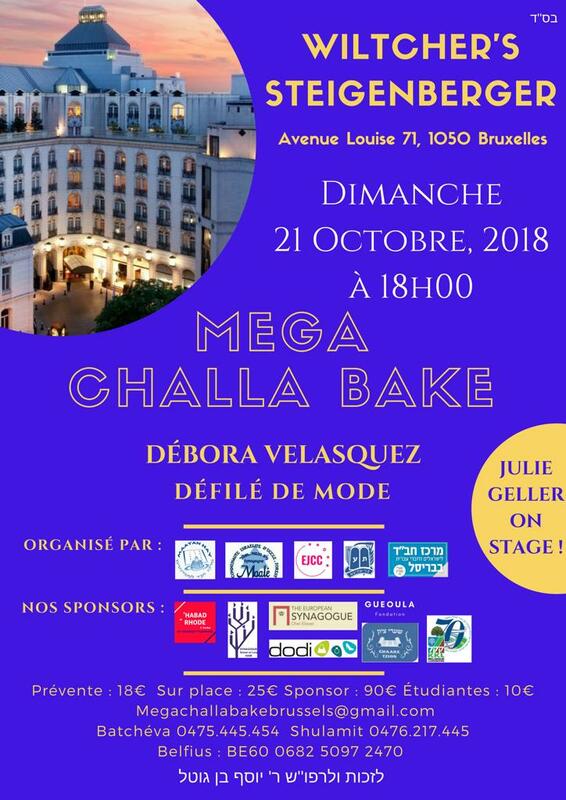 The Ohel Eliezer – European Synagogue will organise prayer services. 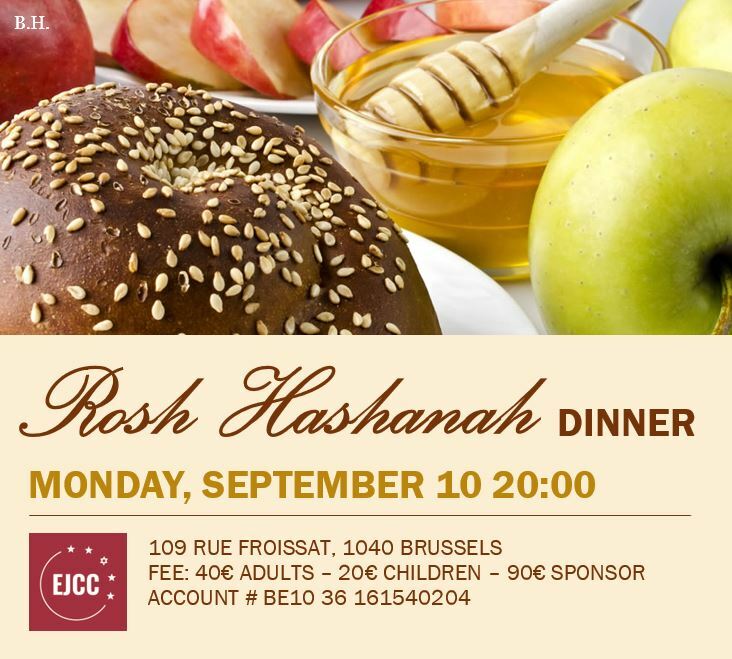 Tuesday, September 18th 19:00 – Welcome and candle lighting followed by Kol Nidrei at 19:45 Wednesday, September 19th : 9:00 – 13:30 Morning prayers followed by a break, 18:00 -20:37 Afternoon prayers followed by havdala and “break the fast cocktail”. 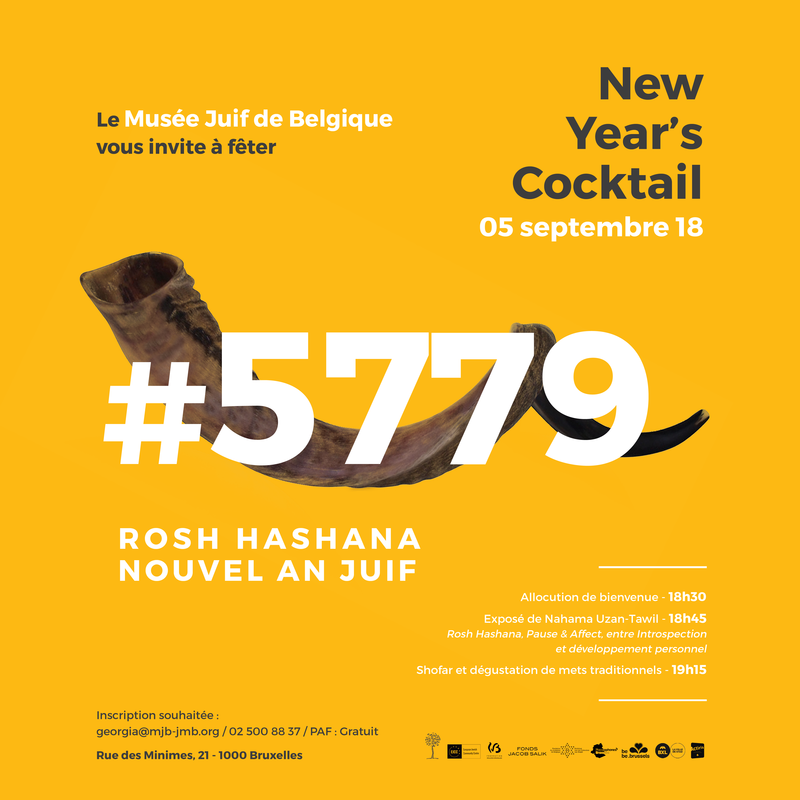 Start the New Year in a high note at the Rosh Hashanah dinner, celebrate this special moment, with delicious traditional foods, great camaraderie and inspiration for all. 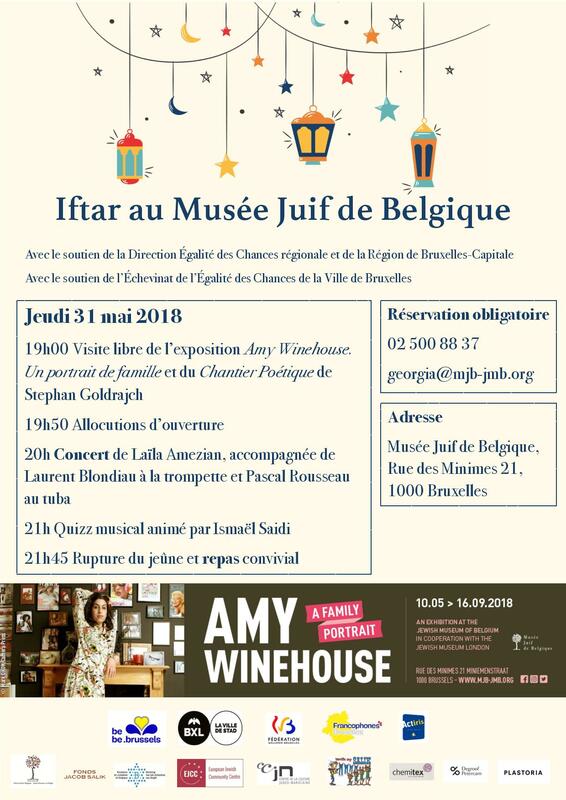 Capture the spirit with family and friends at this unique and memorable Community Dinner. 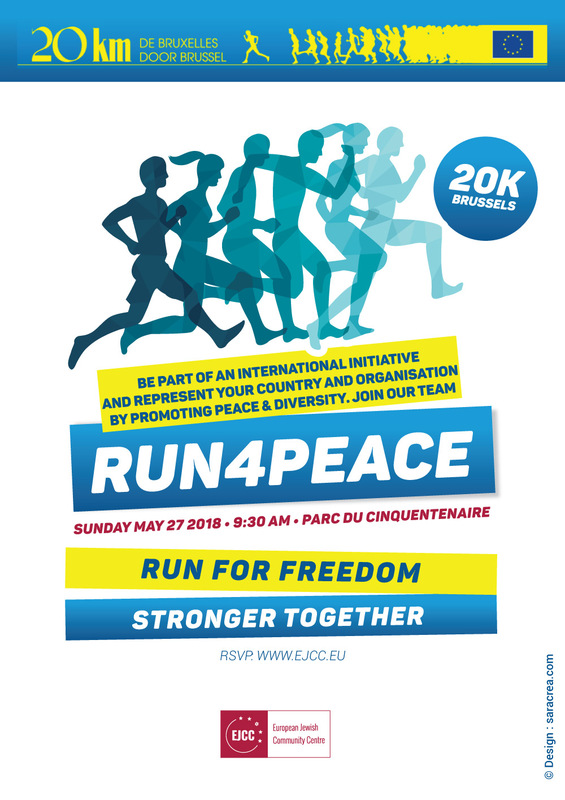 Fee: 40 Euros adults – 20 Euros children – 90 Euros Sponsor. 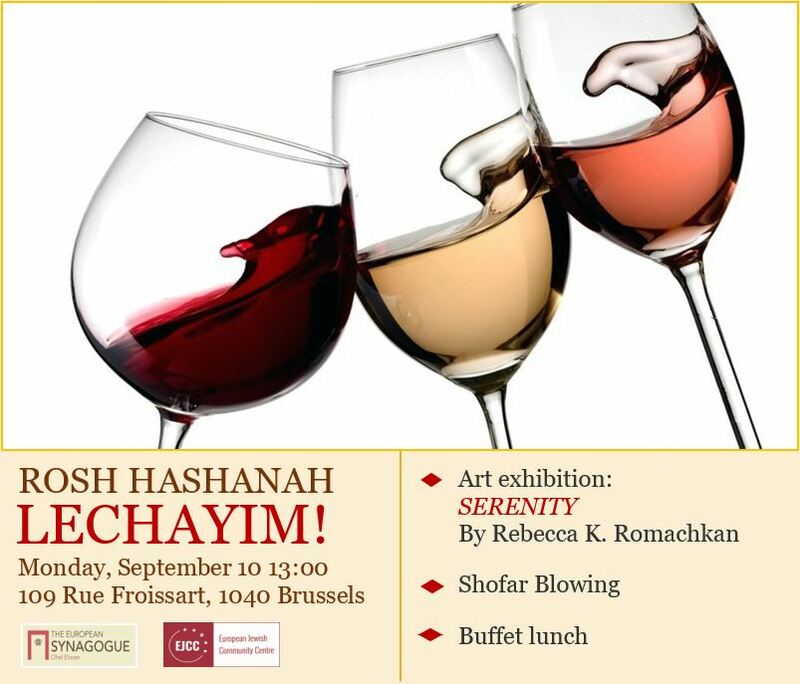 Account # BE10 36 3161540204. 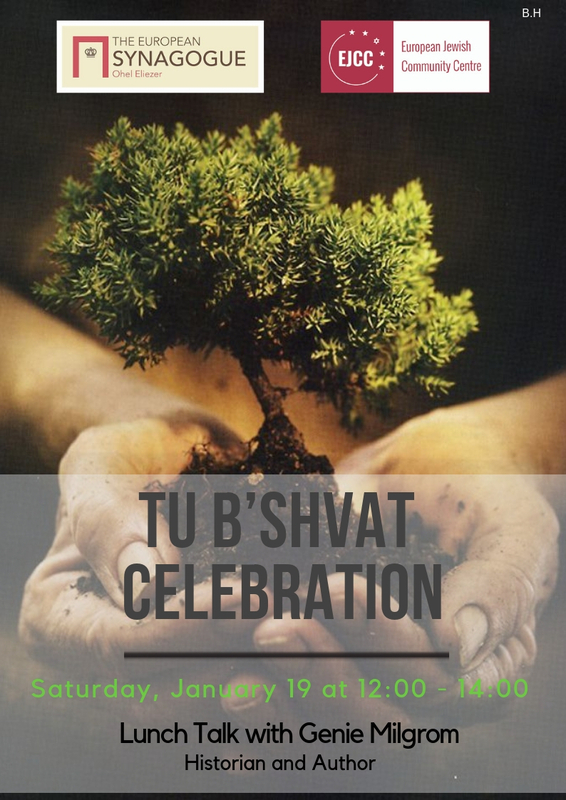 RSVP below. 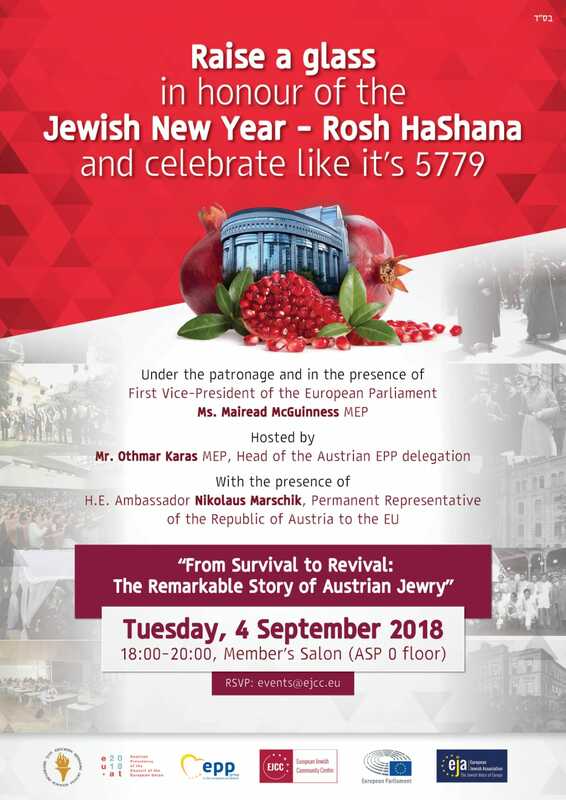 EP Jewish New Years Celebration 2018 Tuesday, September 4th 18:00 First Vice-President Mairead McGuinness, EJA, EJCC, MEP Karas and the Austrian Presidency are honoured to invite you to celebrate the Jewish New Year at the European Parliament under the patronage and in the presence of First Vice-President herself. 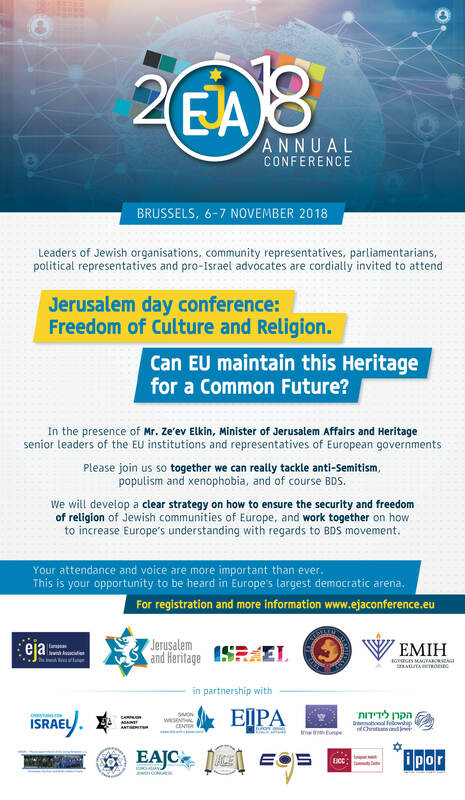 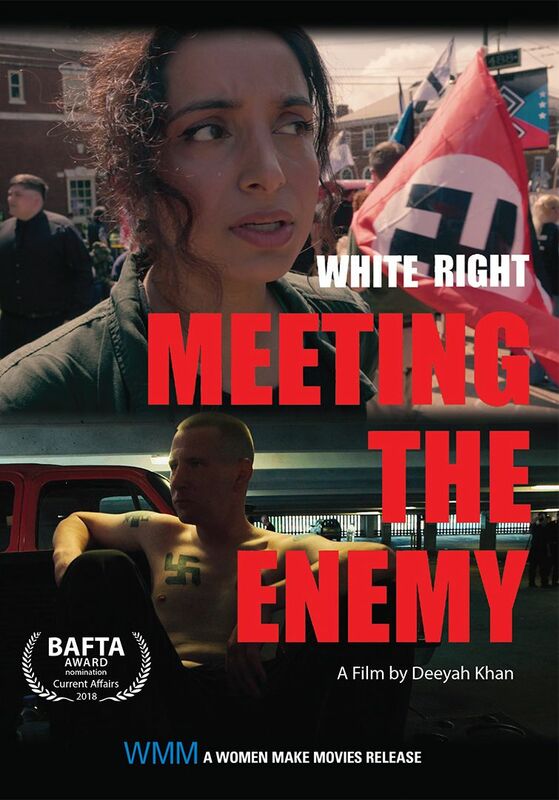 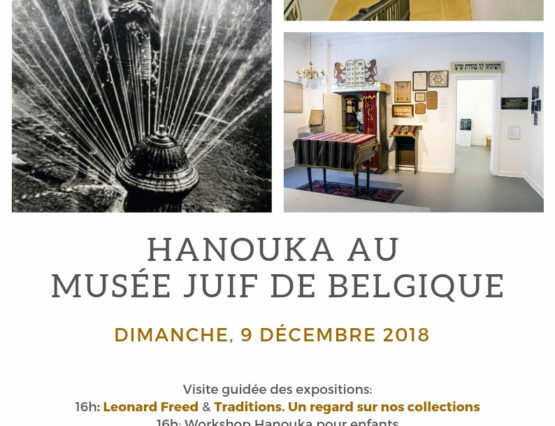 The event will feature a presentation on the remarkable story of Austrian Jewry and will also be addressed by H.E Nikolaus Marschik, Austrian Ambassador to the EU. 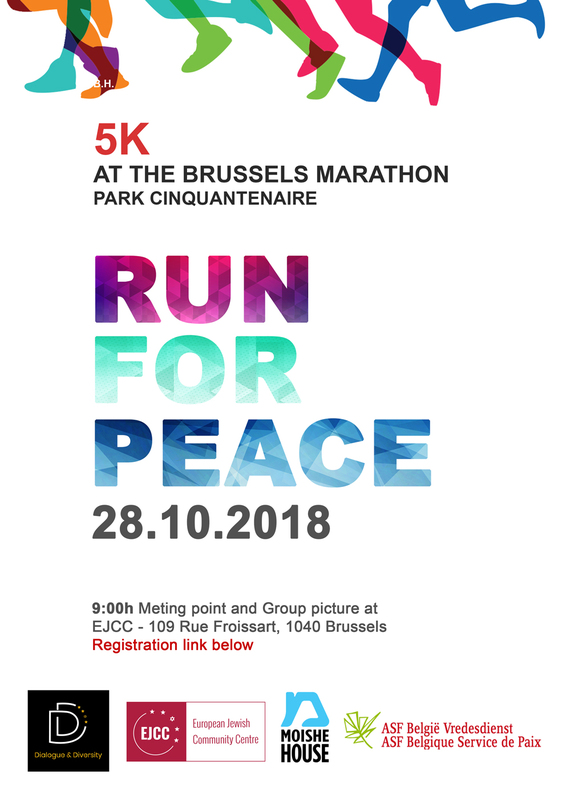 Registration form below. 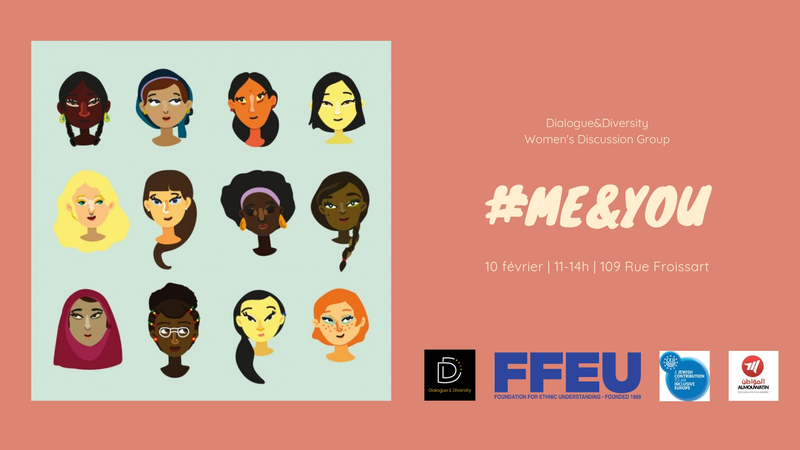 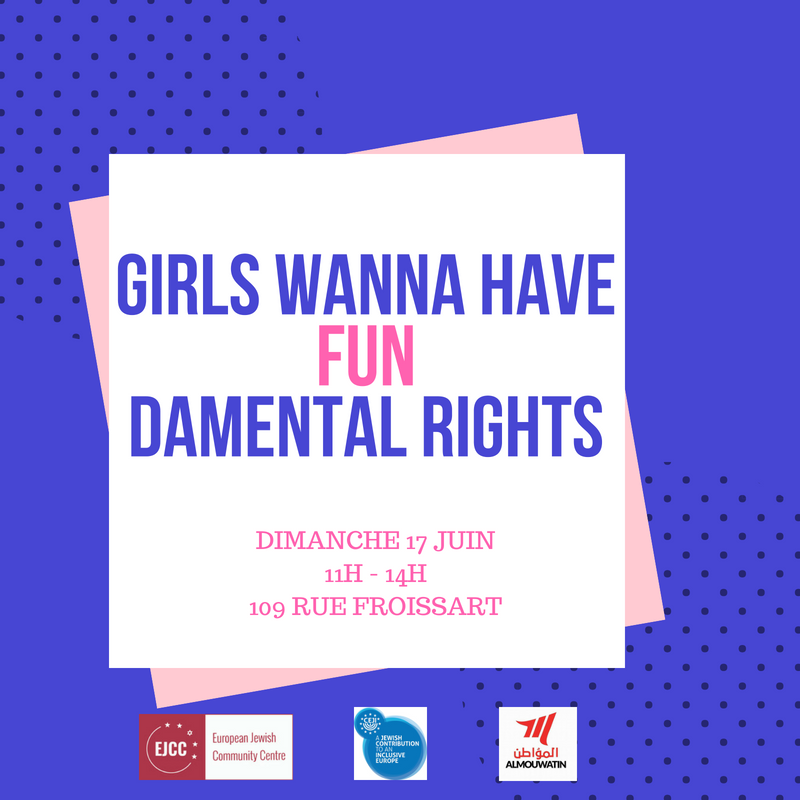 Women in Dialogue – Girls Wanna Have Fun! 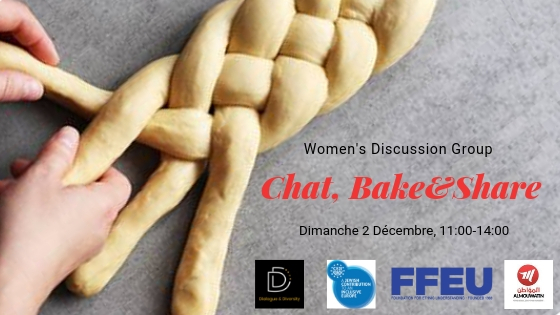 Join the last women’s discussion group of the season. 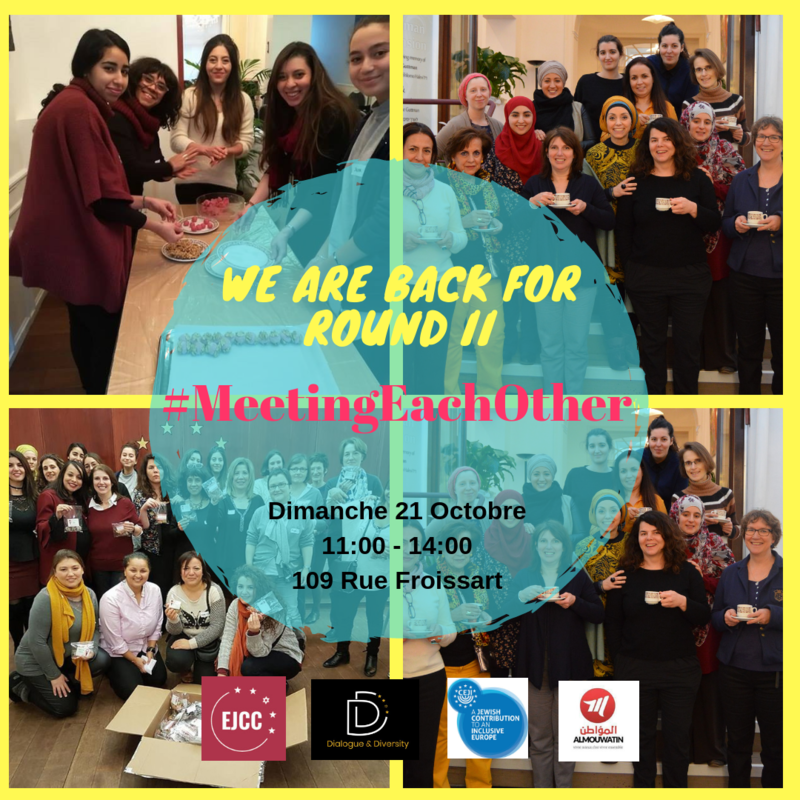 Women from all backgrounds open up to each other and learn from one another in the framework of a workshop organised by CEJI.